They are all stunning, but I love the black and white. These are truly wonderful. Wow. How’d you do that? 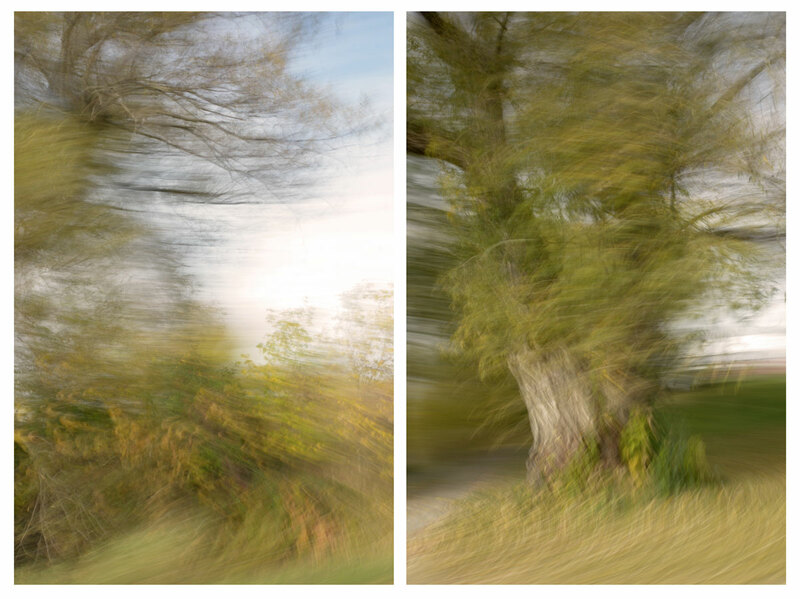 These are photographs made in a moving car, with the camera moving too. I was attempting to track the subjects as we whizzed by. It makes for unexpected images for sure! I’m in the black and white camp too. Stunning. Agree with you : the charcoal version is just great. I can’t decide which I love best! I’m undecided as both styles have their attractions. Great subject matter, no matter which you prefer. Both nice, but yes the black and white is more evocative. Charcoal for me too, well done, so stylish and yes…autumn colours as lovely as can be for the UK, possibly due to good dry summer in south. Both are so rich and beauty! And I will go for the first one in black and white, and the second one (tree trunk) in color! Just because! Do you know the book, Passenger Seat? Julieanne Kost. For me, you’re more the artist and she’s more the technician, but the book is interesting to read. I am always inspired by your images. 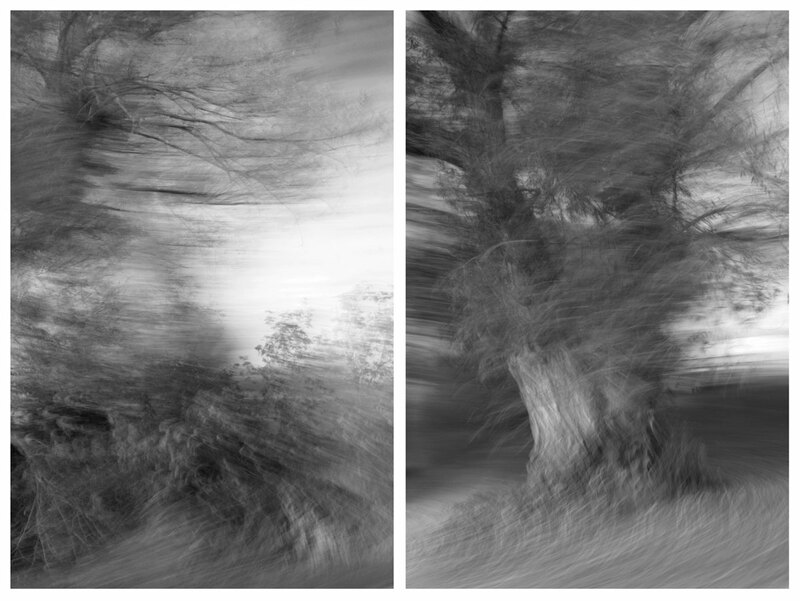 I didn’t know the book Passenger Seat but I did google it – wow, the images are very much like my ‘drive-by’ series. So interesting! Thank you for pointing it out to me.